Here we're dedicated to saving the money tree and restoring it to 'better days' where it was neat, clean and an overall nice place to visit. We're trying to spread the word about the trash epidemic that is plaguing Neopia. But I'm getting ahead of myself! Read on and learn about the issue, our goals and how you can help! Was added to Affinity Directory. Link-back can be found at the bottom of the page. Was added to the Soroptimist Directory. Link-back can be found at the bottom of the page. Made and replaced two buttons. I tried to edit the speed on one of the old ones, but for some reason it was completely unresponsive. I'll re-make it at some point. A new layout built from scratch! I think it looks a lot better already. It's still not completely finished, but will be done by tomorrow. It's in the works to make new buttons for the site. The old ones were some of the first I made and not very well done. The site is going to go through a re-vamp soon so it might be down for a couple of days, but not to worry, I'll have it up and running, fully functional soon enough. The site is finally up and running. I've had this idea for ages and have finally gotten around to making the page.! WHAT DO YOU MEAN: HELP SAVE THE MONEY TREE? Don't worry! The Money Tree isn't going away -- but it is getting less useful. For those of you that don't know the Money Tree is a free service available to everyone in Neopia. You visit the tree, click on something you want, and (hopefully!) you get it. 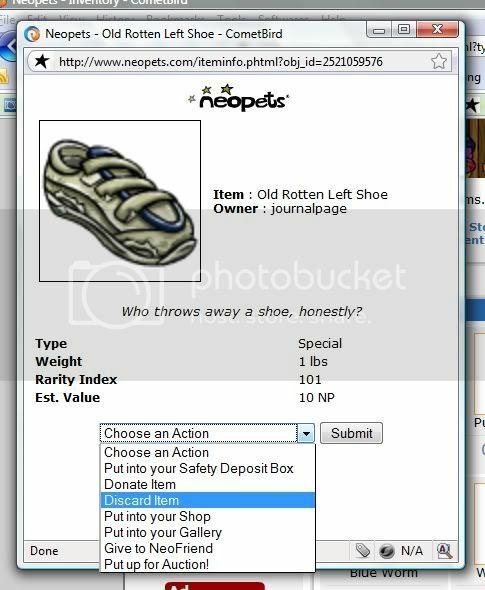 A lot of people use Neopets, and therefore a lot of people use the Money Tree. If you've ever been there before, there's not much time to browse around. You refresh, click and hope that you were the first one to grab whatever item your mouse happened to be on. But the Money Tree has gotten dirty! 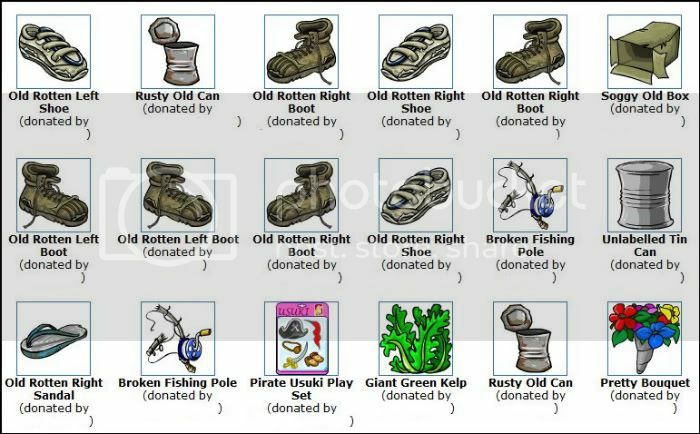 Those items you see there have been donated by other Neopians, a really nice thought when a neohome item or wearable item shows up, but when you finally get something and it's a rotten shoe, it's not a great feeling. Help Save The Money Tree is a Money Tree clean up effort! Ew! I can see three things that I might want, but when using the Money Tree, there's no time to pick and choose. Chances are, I'm going to end up with something old and smelly. Donations like these ruin the point of the Money Tree. Is it really charitable to donate theses types of items? And is it really helpful to Neopians who might get these items? This is easy: stop donating trash items! You don't want it, they don't want it, and there's no internet garbage issue that might prevent your conscience from just tossing the ratty thing. It's then out of your inventory and out of your mind, and hasn't worked it's way in to someone elses inventory, where it might just get recycled and recycled through the Money Tree.